Our experienced engineers are available to manage all aspects of the project and site work required to complete the injection of our in situ remediation technologies into the subsurface. Whether applying PlumeStop, ORC-Advanced, 3DMe or PersulfOx, we ensure that critical field activities are completed in a safe and timely manner and exactly as designed in order to provide successful remediation each time. We regularly manage remedial activities on operational sites, minimising disruption and allowing business to proceed as normal. Our technologies and the application techniques are designed to integrate with other remediation approaches and are compatible with building materials and services. Following a detailed consultation, we will provide not only a suggested technology but also a remediation method statement tailored to your site specific needs. This enables us to provide you with a solution that will achieve the remediation goals and close out the site in line with your project program. The use of specialised equipment and best practice to ensure accurate application. Click here for our European Services Brochure. Drawing on 20 years of experience, Regenesis technologies have been used on more than 21,000 sites worldwide. From this, we have gained unsurpassed experience and knowledge – which is key to successful execution of on-site product application work. We are committed to the success of all projects using REGENESIS technologies. Employing us to complete the application works allows for confidence that the treatment will be completed correctly and exactly as designed. Fully qualified and experienced technical personnel are available to support our clients from project conception to closure. Services available cover the full spectrum of requirements: from feasibility review, through remedial design and field application, to data interpretation and completion reporting. We operate application equipment specifically designed for REGENESIS technologies. We hold an Environmental Permit (Mobile Treatment Licence) which can be deployed as necessary. We are committed to the success of our technologies for your project. No one has a more vested interest in the effectiveness of our products than us. 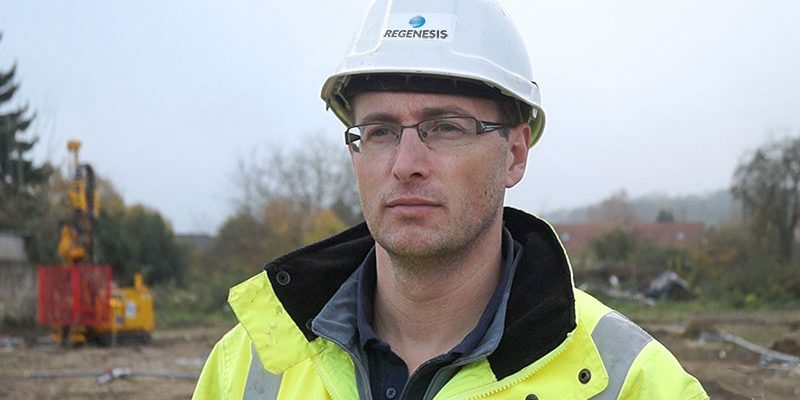 So who better to ensure the correct application, as per our specification, than a REGENESIS Engineer? Direct push injections into gravel to treat a chlorinated solvent plume at an active chemical factory in Italy.